As I returned from the NNSTOY Conference in Philly this year I had a chance to think back on the experience and two things became incredibly clear to me. NNSTOY is not your typical conference and the attendees were not your typical teachers. As a Special Education teacher, we are so often used to attending general ed meetings at every level. In our schools, our districts, the state and, sadly, even on that national level. General ed is the mainstay of every meeting and very often the general ed topics are not applicable to my classroom. I joke that gen ed teachers speak a different language and often, as the acronyms pour out, I have no idea what they are talking about. I often can find no way to apply their ideas or programs to my room. As I reflected on my time in Philly I was surprised to realize that every meeting, every speaker and every group was pertinent to my classroom. A good teacher never leaves a student out and NNSTOY is a teacher-led conference. Everything applied to my classroom regardless of the topic and I left feeling like I had attended something special. NNSTOY was unlike any other conference I have been to. The speakers are of the highest quality, but then again, so is the audience. If best practice is your goal, then hanging out with Teachers of the Year should be at the top of your list. My initial description of becoming a STOY was that the program finds excellence and rewards it by introducing it to more excellence. I have felt all along that it is a shame that every teacher does not get the opportunities that have been given to me. Every teacher would be better if theycould spend a week with a conference of STOYs. NNSTOY is the key to making that happen. NNSTOY makes it possible for teachers to find the top people in their field and use them as both a support and a resource. Imagine being a new teacher who has access to the minds and ideas of a roomful of STOYs. I wish that I had had that when I was a new teacher. I am grateful that I have that opportunity now. But NNSTOY puts those minds and talent within the reach of every teacher in the country. For those reasons alone NNSTOY offers educators something that no other conference in education does. The best teachers in a series of programs run by the best teachers. And who better to teach us than our very best? 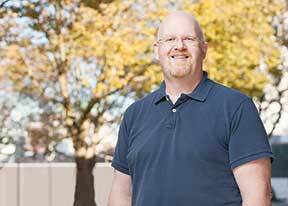 Brett Bigham is the first Special Education Teacher in Oregon to be named Teacher of the Year. He is a fierce advocate for at-risk youth and children with Special Needs. Brett is a graduate of OSU and the Department of Communications. In his role as teacher he works with a variety of students with emotional, physical and communication issues he has built a program around the communication skills he received from his program at OSU. Brett was a member of the OSU Forensics Team and won over 50 state and national awards for the Beavers and in his current role he is traveling the state and country as Oregon’s Ambassador for education.